From left to right: Elise B., Amanda, Lili and Koko. The phrase ‘chilled to the bone’ took on a whole new meaning as the second years boarded the rafts that would be taking them down the Carburton for the next 5 hours. 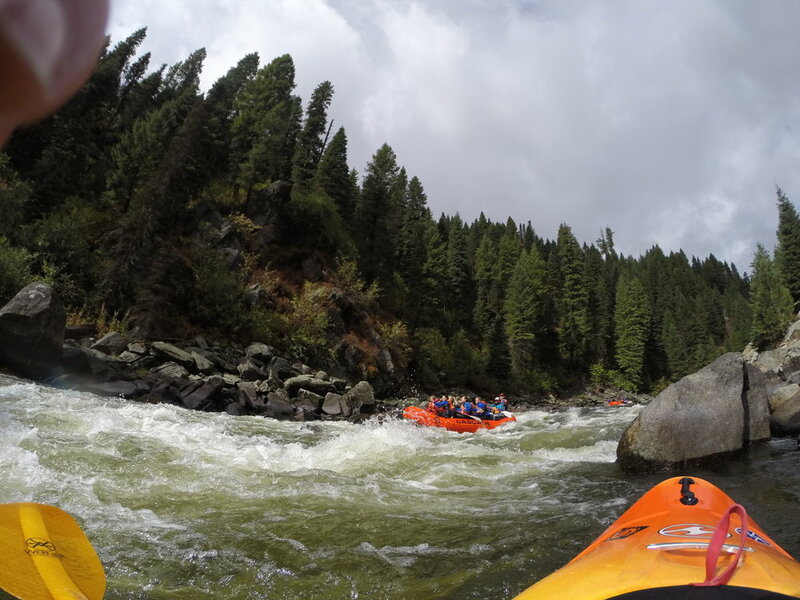 Equipped in full body wetsuits and splash guards, they wedged their feet inside the raft and began rowing down river, laughter bubbling with the whitewater. The good times didn’t end at the raft take out. One bus trip morphed into another and and as the evening approached, there was talk of pitching tents and marshmallow roasting. At the campfire, relationships were fostered as second years and coaches shared their personal goals for the year. This left everyone with ‘warm fuzzies’ as they cuddled into their sleeping bags. The morning brought teamwork activities that included pelting Chad with pool noodles. Heading home, the challenge of de-thawing joined incoming and returning students into one. 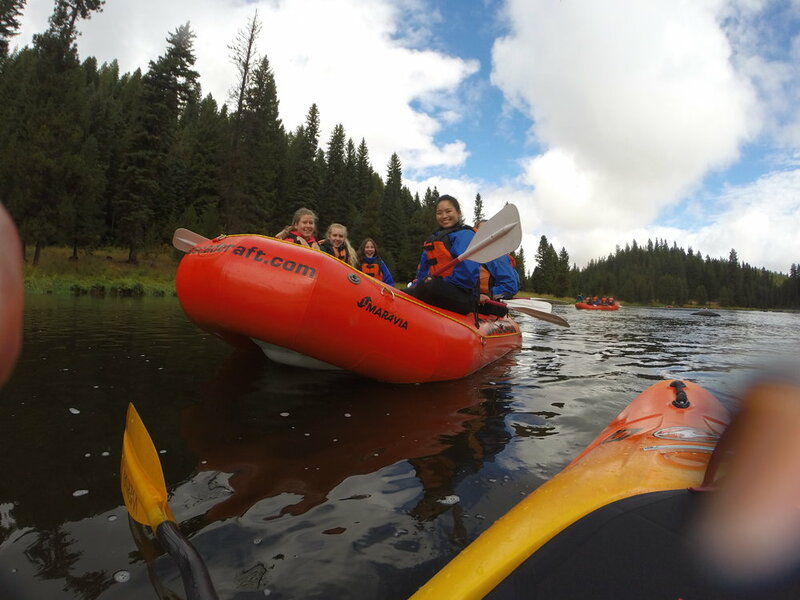 Though the river (and the temperature) was at an all time low, this adventure was an all time high for Year Two’s.